Kids love gardening. They love to get dirty out in the soil. They love to see things growing. And they absolutely love to do it themselves! Creating a kids’ vegetable garden space is a great way to get little ones outside and learning about nature. I believe that if you teach kids to love and nurture their natural surroundings at a young age, they will grow up caring about the environment and doing what they can to protect it. As a Master Gardener Volunteer, I have spent hundreds of hours running children’s gardening programs and it’s truly amazing how much kids take from the experience. 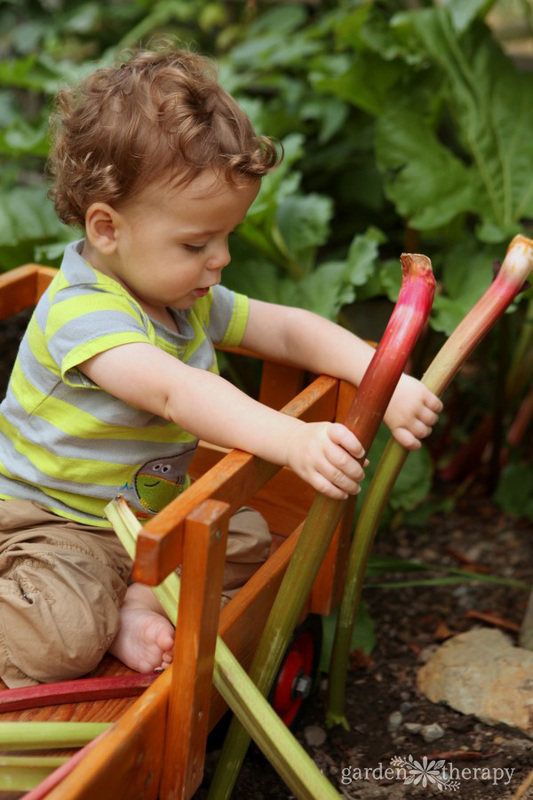 They develop practical and emotional skills in the garden such as patience, organization, and cooperation. But it’s not only the skills they learn. They experience joy in the garden; pure bliss as a result of being outside, getting dirty, and experimenting. My son has been gardening with me since before he could walk. I would carry him on my back or bring him around in a wagon. It has helped him broaden his tastes and enjoy foods that he may not have without a vegetable garden (like kale flowers). Then, as he got a bit older, he planted his own garden and watched it grow. I joke that I’m teaching him botanical Latin as a second language! Now I can hardly keep the kid out of the garden, as you can see. His dad took this picture from our kitchen window one December morning. 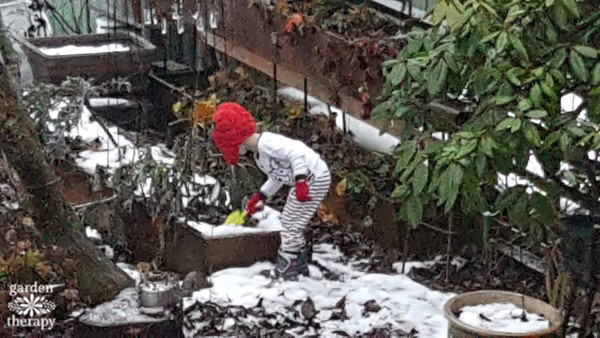 I had given him a kid’s garden tool set and before he could even change out of his PJs, he headed out to do some gardening. Thankfully, he put on boots and a hat first. It’s that enthusiasm for gardening that I hope to pass on to you with the latest Garden Therapy Limited Edition Kit. 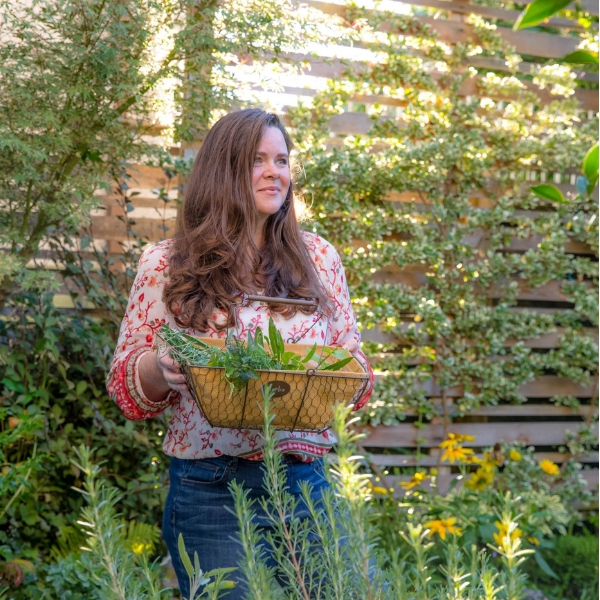 It comes with a collection of seeds that are fun and easy to grow, a colorful gardening toolset (that was emphatically approved by my son), and a bright, cheerful tote bag to keep everything contained. Oh, and get this: we designed the seed packets to be colored!! How much fun is this?! 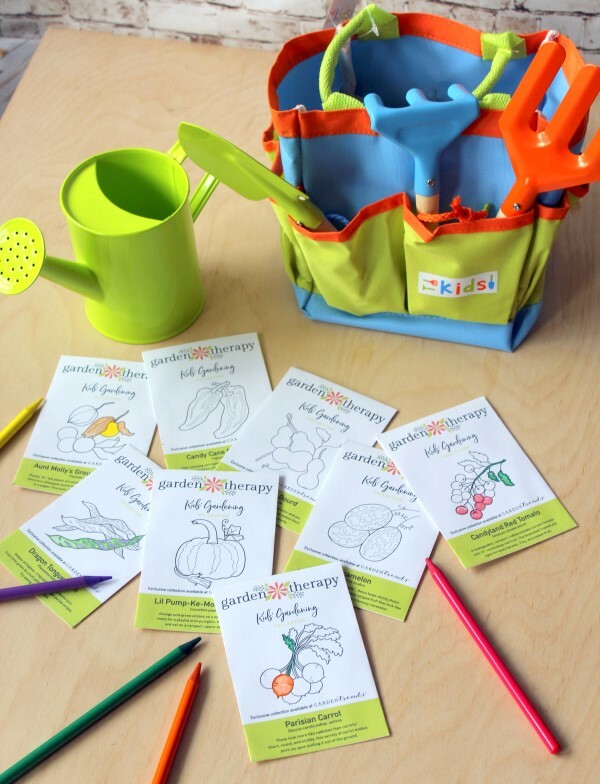 Click Here to Get the Kids’ Vegetable Garden Kit. We’ve picked out some of the most exciting vegetables and fruits you can grow in your garden that kids will fall in love with. 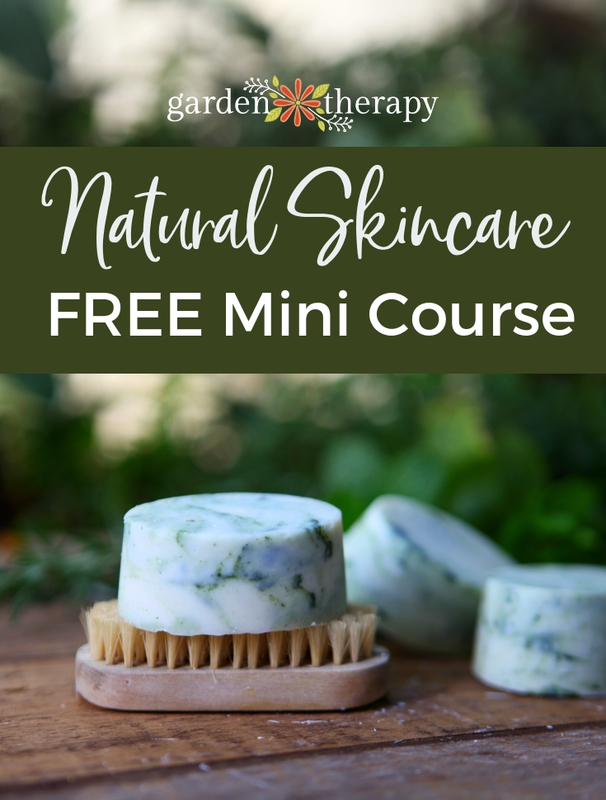 They grow quickly, they have fun names, they teach kids about gardening, and, most importantly, they’re easy for beginners! THE BEST KIDS’ PLANT EVER. The fruit comes in a papery husk and tastes like pineapple mixed with butterscotch. Send kids around the garden to collect them like Easter Eggs. 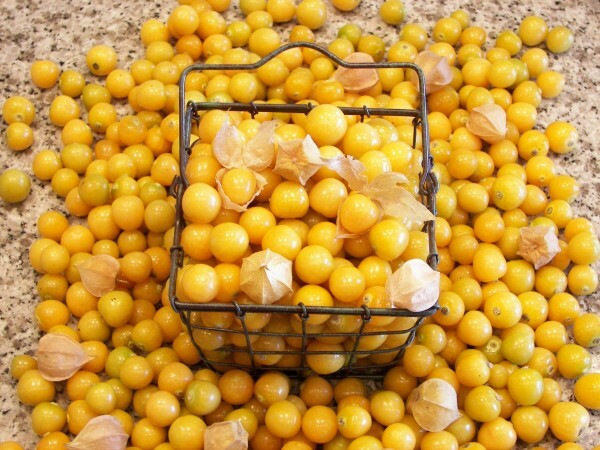 Once a very common home garden crop, ground cherries have recently become increasingly hard to find. They can be used fresh in salads or for preparing jams, pies, and sauces. The bushy plants are very productive and do well in containers. Kids always fall in love with these cucumbers that look like teeny watermelons. 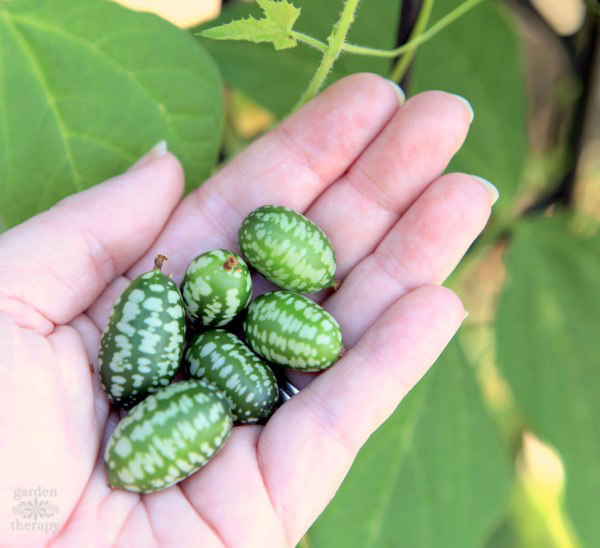 Sometimes called “mouse melons”, these large vining plants produce an abundance of oblong green striped fruit that look like baby melons but taste like a lemony cucumber. The bright flavor is yummy on its own, or chop these into salads and salsa to add a little zip. These little guys are so much fun to paint up and use as Christmas ornaments! Baby Bottle is the mini version of the Birdhouse or Bottle gourd. 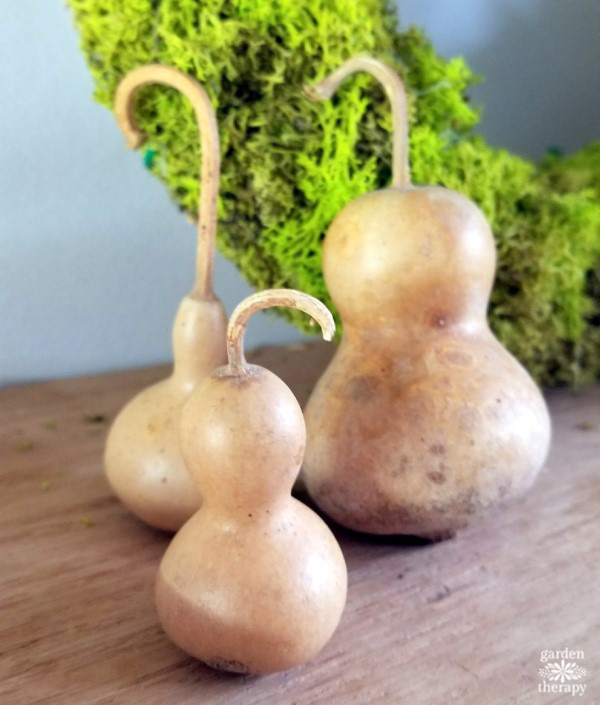 The tiny gourds average 2″ in diameter and are approximately 4″ long. 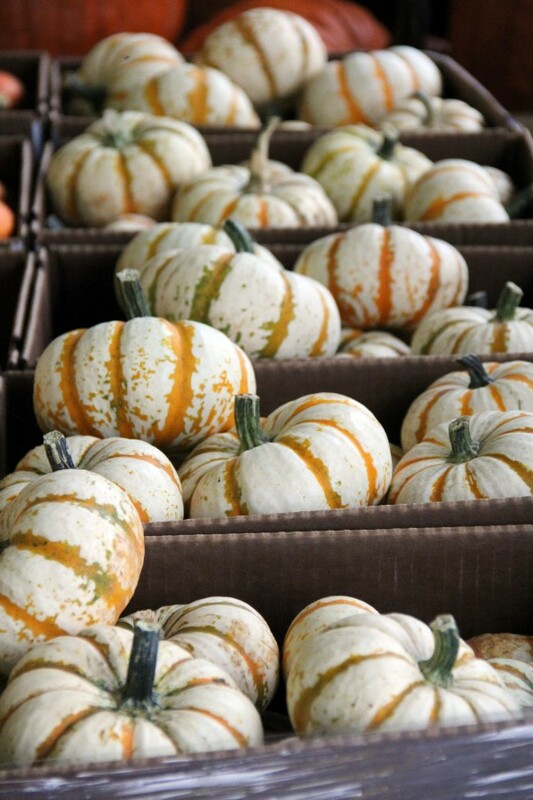 Their small size makes them ideal for fall table arrangements and for crafting. What could make the garden even cooler? Dragons, of course! These colorful beans look awesome and have a fun name that will get kids interested in nurturing plants. 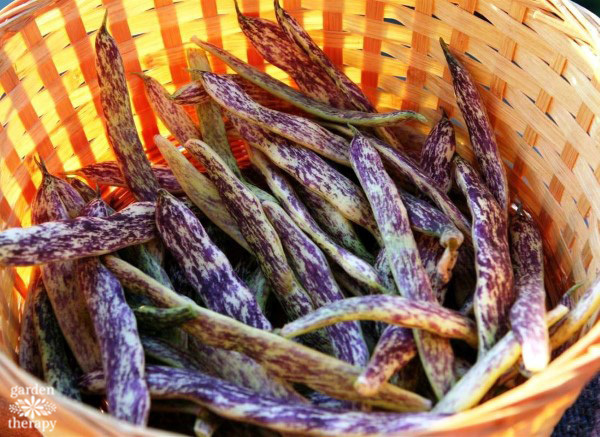 These stringless, crisp, and juicy snap beans turn from lime green to a buff yellow with bright purple stripes. Try eating fresh or dried. 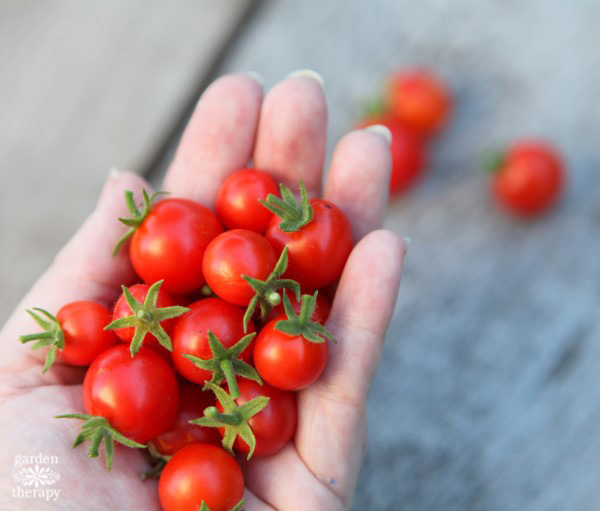 These tiny currant tomatoes look more like berries! They are lots of fun to pick and gobble up, and the sweet taste will appeal to youngsters (and everybody!). The branched trusses of the compact plant are easily accessible for easy harvest. Tiny, very sweet fruit. Both the peppers and leaves are striped—how fun is that?! 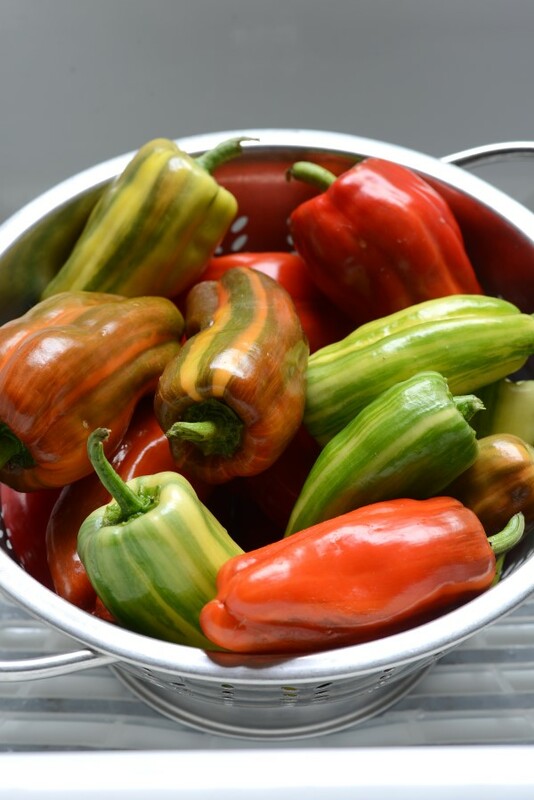 Eye-catching variegated foliage and fruit that ripen from green striped to solid red make this pepper very unique and will make kids excited to eat their vegetables. Candy Cane Red’s medium sized plants produce high yields of sweet tasting fruits. These ball-shaped carrots are so stubby and cute, I just can’t resist them! The Parisian Carrot looks more like a radish than a carrot. 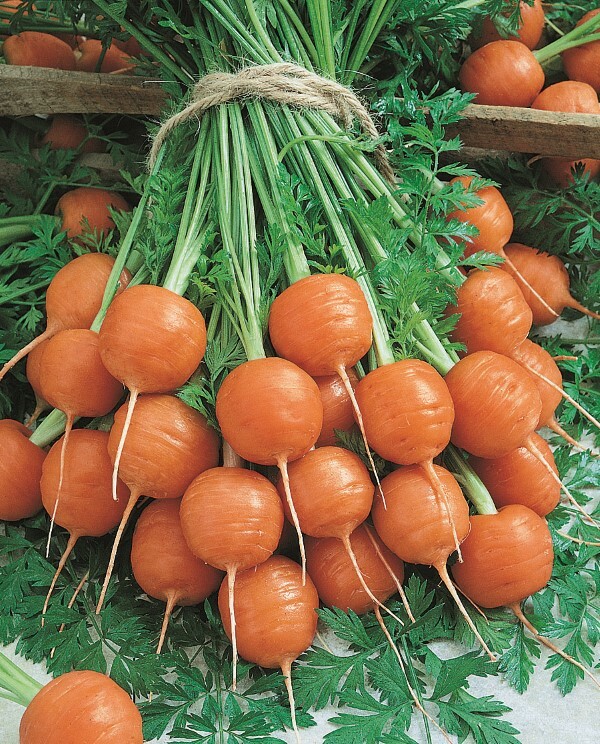 Short, round, and very popular with children, this variety of carrot evokes pure joy upon pulling it out of the ground. It will also grow in places where other carrots won’t such as clay or rocky soil. I love these because they are just so cute and little! They are great for crafts and a sure hit with kids (especially Pokemon fans). Lil Pump-Ke-Mon features orange and green stripes on a white background for a unique look that is great for fall decorations. The compact, space-saving vine yields plenty of fruit. Now, isn’t that the most fun collection of garden vegetables that you have seen?! 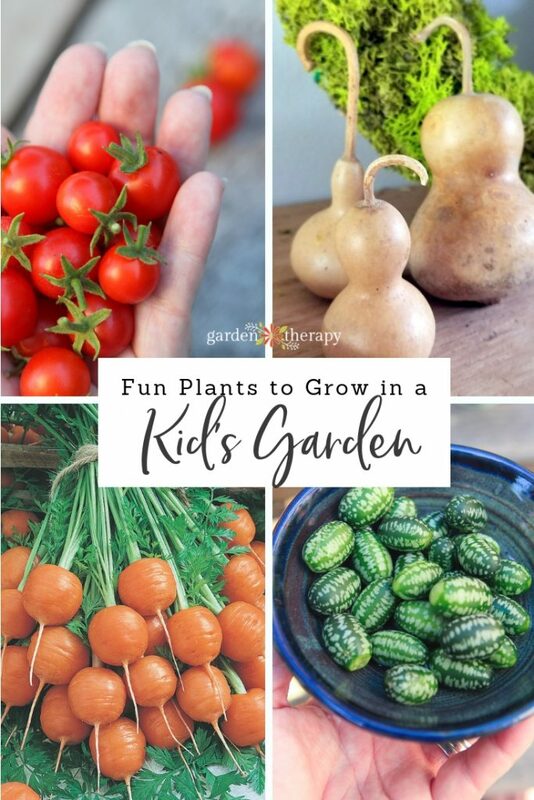 I’m pretty excited to have all of these together in my kids’ vegetable garden this year, and it will certainly appeal to kids of all ages (I suspect that’s true for the grown-up kids too!). 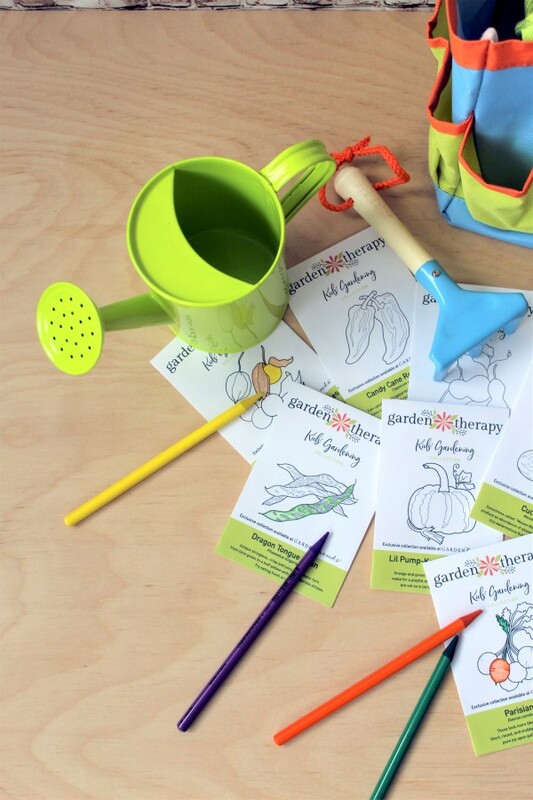 Get the Limited Edition Kids’ Garden Kit in the Garden Therapy Shop!